The designer behind the Noémiah brand, Noémie Vaillancourt studied literature before embarking on fashion. Offered since 2008, her feather jewelry has paved the way for the creation of clothing and accessories. 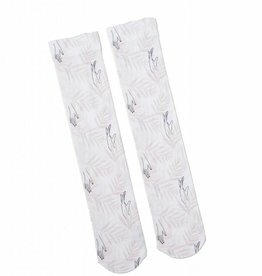 Professional studies (made to measure and retouching, pattern drawing) have allowed her to acquire the essential knowledge for quality work. Internships with experienced designers (Valérie Dumaine, Travis Taddeo) then led her to perfect herself. Noemiah's style can be recognized by the care given to some very feminine details (knots, ruffles, festooned hems). It is the expression of a sensibility combining character and elegance. Noémie Vaillancourt values ​​the work done by hand and the use of natural materials. She collaborates frequently with artists and craftsmen for the realization of various projects. 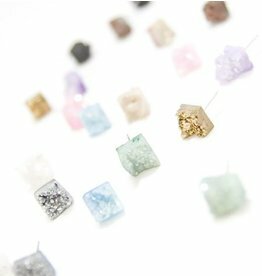 Raw little crystal studs to add a bit of sparkle to your ears! 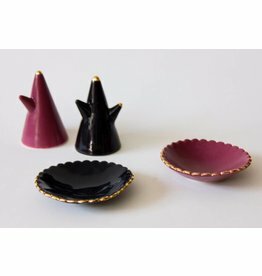 Scalloped ceramic jewelry dish with 22 karat gold accents. 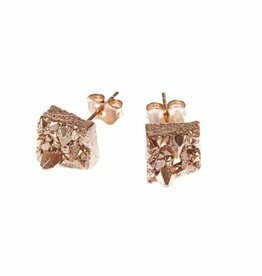 18k gold plated raw little nuggets for your lobes! 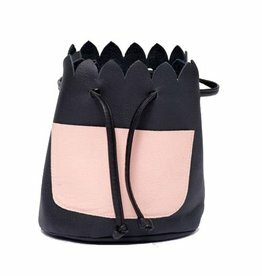 The perfect comfortable cross-body bag with a punch of soft leather. 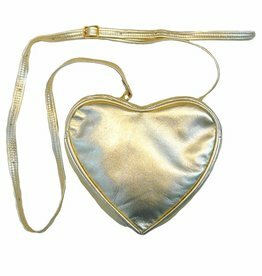 A gold heart convertible bag for someone with a heart of gold! 3 ways to wear! 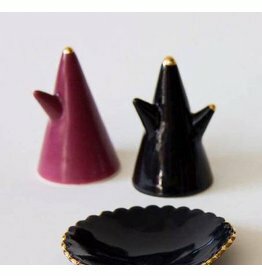 Tree shape ring holder with 22 karat gold embellishments.